From the beginning of June, Xiaomi has sent MIUI 8.5 stable update out for MIUI users, until today, Xiaomi announces this good news officially. In this update, the direct service function will become the biggest highlights. you don’t have to download many third-party apps to your phone, you can use direct service function to use, which can relieve users’ phone storage pressure greatly. Xiaomi direct service function has been under beta test in March, after four months update, we can use on MIUI 8.5 stable version, users can use it by searching or browser. 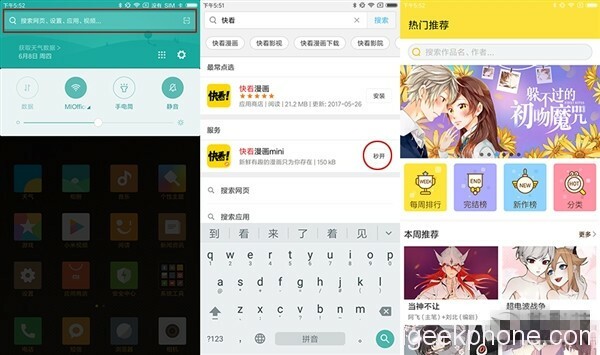 Xiaomi first invites inside influential third-party apps to take part in the beta test, currently, watching the comics, news, and other apps which can all support direct service function. 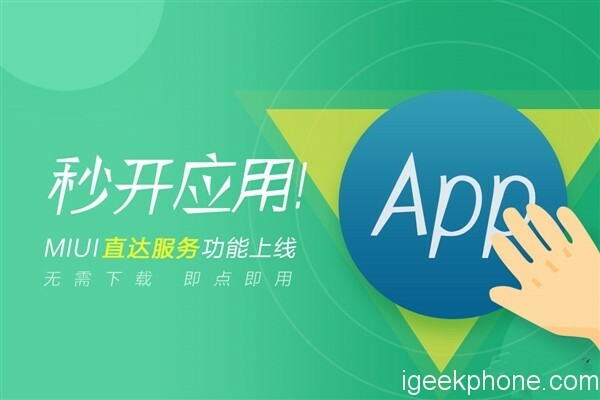 When users choose to check out after using it, MIUI OS direct service will remind users to add this app to desktop for daily using in the near future. It is just adding the short-cut icon to the desktop but not downloading app, it will not occupy your smartphone storage. In this MIUI 8.5 stable version updating, besides direct service function, the screenshot function has also added in this update, compared with the third-party screenshot video function software, the biggest advantage is to no need to get ROOT approval, you can upgrade its system to enjoy this function. In addition, this function is easy to operate, supporting players explanation mode and voice recording, it means what you are saying will be recorded to the video without other noise. And users can operate the floating ball,and the ball will not be screenshot in the video to keep the complete image. If users need to show its operation to others, MIUI screenshot can also support showing touch screen buttons, by launching this function, users will make video screenshot more completely. MIUI 8.5 Stable version has made update on Xiaomi Music App, which is easy to listen music, more convenient to manage, Xiaomi calendar adds the remind of anniversary and countdown function. 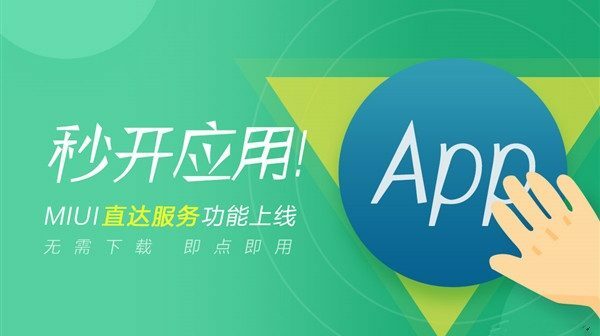 It is more important that MIUI 8.5 OS adds more efficient CPU allocation strategy to keep smartphone fluency, more details optimization needs to experience later.